Come and check out our inventory of plants, trees, perennials, and landscape materials. 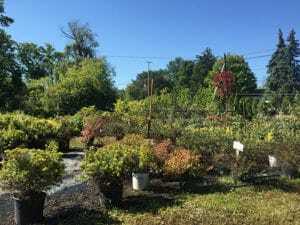 Visit Our Garden Center for your landscaping needs. Bundschuh’s has a great selection of Bulk materials loaded into your truck or trailer and is sold by the cubic yard. Half yard measures are available too! 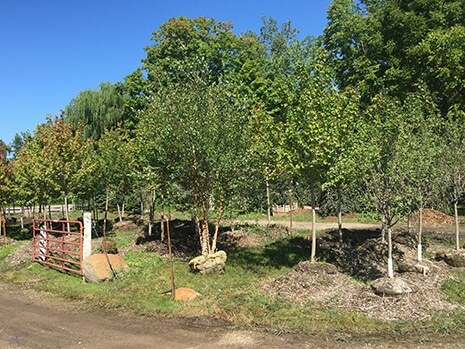 We stock brown, black and red dyed hardwood mulches. We also sell Cedar Mulch for a purely natural alternative. If you wanna get a little dirty, we screen our own topsoil for your pleasure. We can mix screened topsoil with Compost to make a special blend of Garden Mix. Our bulk materials are loaded by the cubic yard. 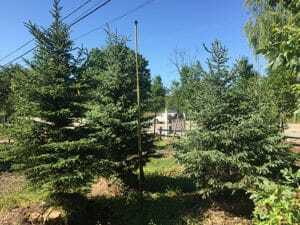 We have a variety of large trees for sale. For example we stock and install Maple trees (Autumn Blaze, Crimpson King, Sugar, Debrah, Dwarf Japanese Cut Leaf, and Bloodgood Japanese Maple), Flowering Pear, Flowering Crab, Dwarf Patio Trees, Green and Red Weeping Beech Trees, Tri-Color Beech and Multistem River Birch. We also install with a 100% one year guarantee. 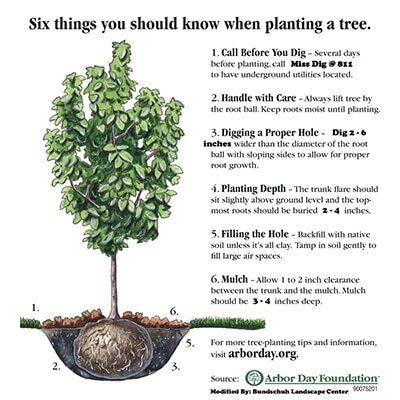 Click for tree planting instructions. Also be sure to check out our watering schedule page. 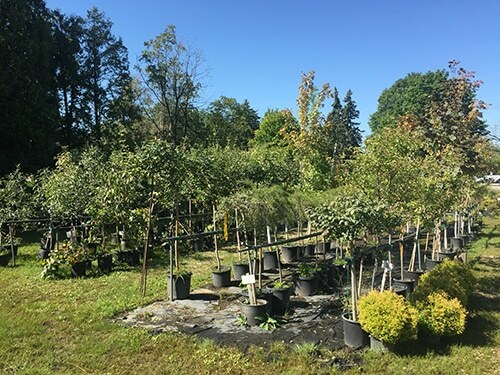 After your purchase, please check out our watering recommendations page for care of your new Trees, Plants, Perennials, and Lawn.